Prosumer level all-in-one or bridge cameras have the features and some of the performance specs of interchangeable lens cameras but are housed in bodies with built-in zoom lenses. This is a great way to get DSLR or ILC-like images, but with the convenience of a point-and-shoot camera. These cameras cost more than your entry and mid-level point-and-shoots, but are often equipped with larger sensors, faster image processors, and improved optics. All-in-ones are perfect as second cameras for DSLR or mirrorless owners, or for anyone who needs to grab high-quality images or videos without having to invest in several different lenses. With that in mind, here are our picks for the Best All-in-One Cameras for 2018, arranged in alphabetical order! 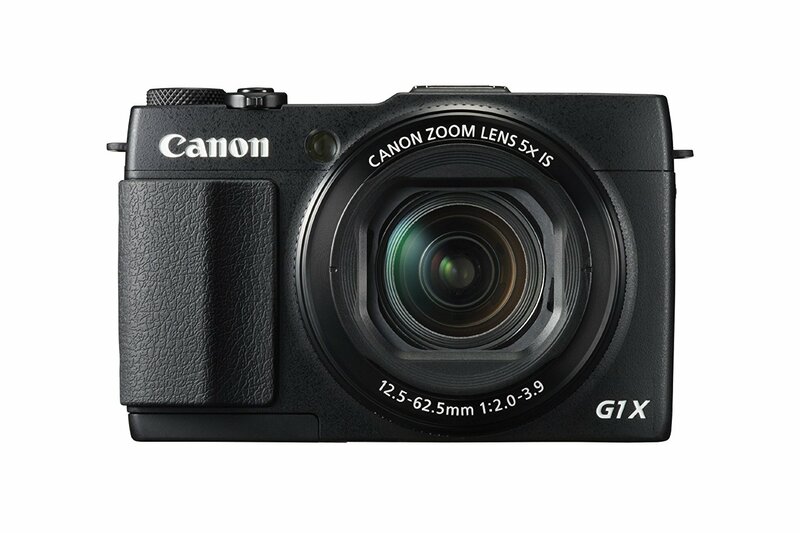 The PowerShot G1 X Mark II, Canon's Powershot flagship camera, has a compact, smart design, featuring a huge, 1.5-inch 12.8 Megapixel High-Sensitivity CMOS sensor, a powerful DIGIC 6 processor, Optical Image Stabilizer, and a circular, 9-blade aperture for stunning blurred backgrounds. The PowerShot G1 X Mark II has a better lens and sensor than most point-and-shoot cameras, and you never have to worry about swapping cameras. It can provide some truly stunning images out of such a small package. With a powerful 125x optical zoom, which is equivalent to 24-3000mm, the Nikon Coolpix P1000 is already a worthy investment. But add its 4K video capabilities with no crop, image stabilization, respectable image quality, high-res viewfinder, time-lapse and superlapse modes, and an LCD that gets into many different angles into the mix, and you've got yourself a camera you can shoot portraits, landscapes, cityscapes, and night photography with. It's not perfect, and with only a 16MP sensor and a max burst mode of 7fps, it's hard to justify the price. But considering all the other features, it's a pretty nifty camera. With Sony creating sleek bridge cameras with 1-inch sensors, it's probably no excuse for Panasonic's bulky Lumix DMC-FZ100, but what it overdoes in size, it makes up for in great features. A 16x zoom range, equivalent to 25-400mm on a 35mm; the capability to record 4K videos; Wi-Fi connectivity; and an F/2.8 aperture, among other things, make this camera a choice for folks who want life easy with a point and shoot. And at less than $500, it isn't a bad one either. For a compact camera that's more than $1000, it better be worth the splurge, and with Sony behind the RX100 VI, you bet it is. The question to ask about this point and shoot isn't what's good, but what's not, which is basically next to nothing. There are not-so important ones like the lack of in-camera RAW conversion and the touchscreen function that could be improved, but other than that beginners and pros will be more than happy. There's optical stabilization, speedy 0.03-sec, 315-point Hybrid AF system, up to 40x slow motion shooting, 4K capabilities, a super fast burst mode of 24fps, silent shooting, and Hybrid Log-Gamma recording, to name a few. This is the crème de la crème or All-in-one cameras. At around $1,600, it's worth it too. This is for people who want their images and video to look as professional as possible without the hassle of changing lenses or worrying about settings. 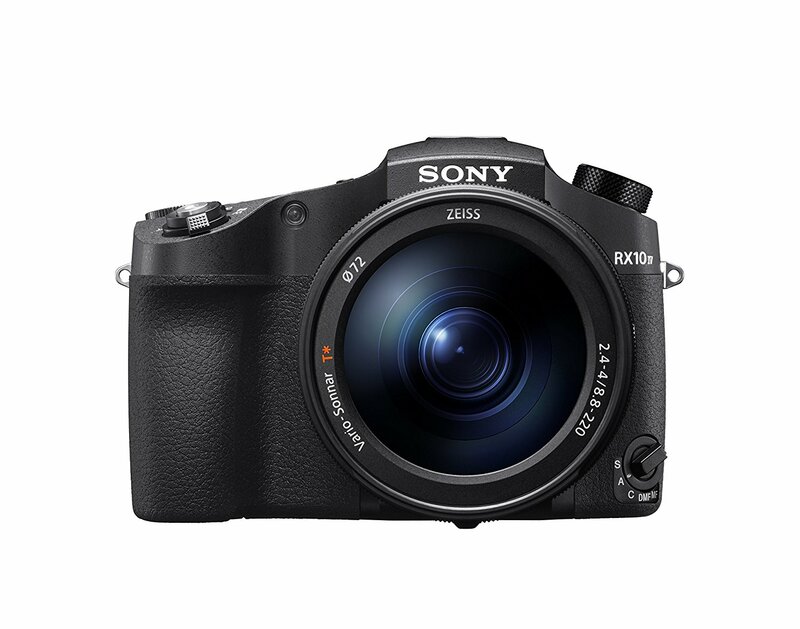 The brand new Sony Cyber-shot RX10 IV is has according to Sony "The world's fastest AF acquisition time of 0.03 seconds and up to 24 fps continuous shooting with full AF/AE tracking, a 315 point phase-detection AF system as well as an exceptionally versatile 24-600mm F2.4-F4 ZEISS Vario Sonnar T lens, the new RX10 IV delivers an unmatched combination of mobility and speed for imaging enthusiasts and professionals looking for the ultimate 'all-in-one' solution." With it's 1" 20MP sensor you can capture the world in brilliant 4K in a film like look at 24p or at 30p, the choice is up to you. With the ability to shoot HD at up to 960fps, you will literally miss nothing. If you've got the money and don't want the hassle that comes with a fancier camera, this is the camera for you.